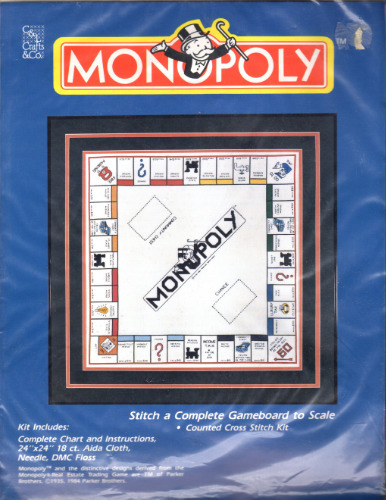 C & L Crafts & Company MONOPOLY Parker Brothers board game counted Cross Stitch Pattern kit. Kit contains Complete chart and instructions, 24"x24" 18 count Aida cloth, needle and DMC Floss. Appears new.